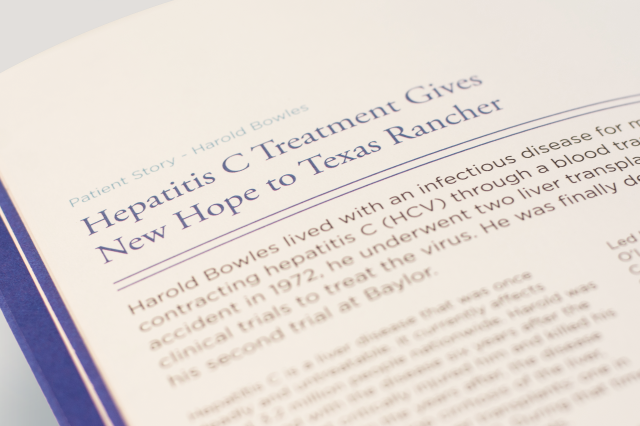 Baylor Scott & White Health has offered transplant services for the past three decades. 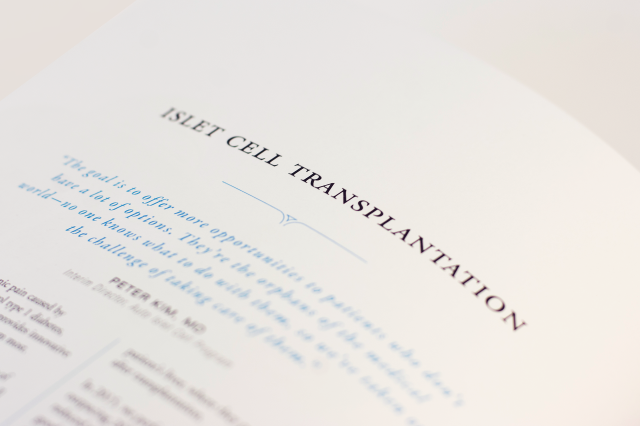 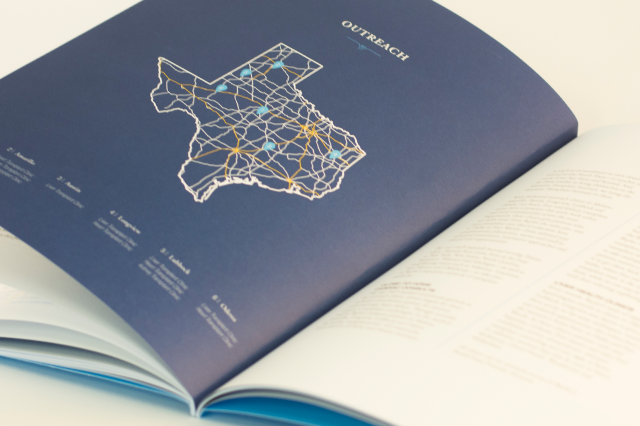 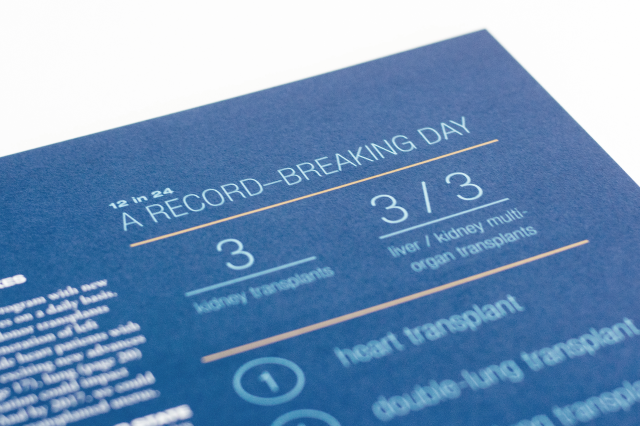 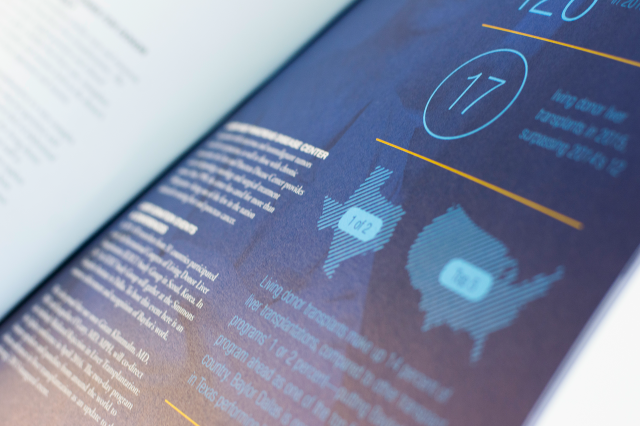 The goal of this annual report was not only to showcase the advancements being made at Baylor’s transplant institute but also to increase awareness about the number of people on organ waitlists and the critical need for donors. 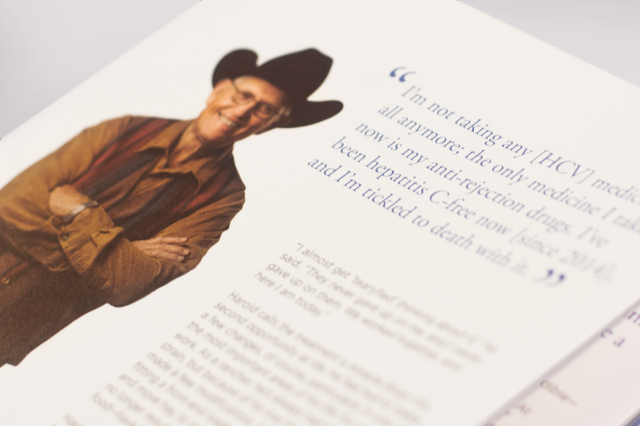 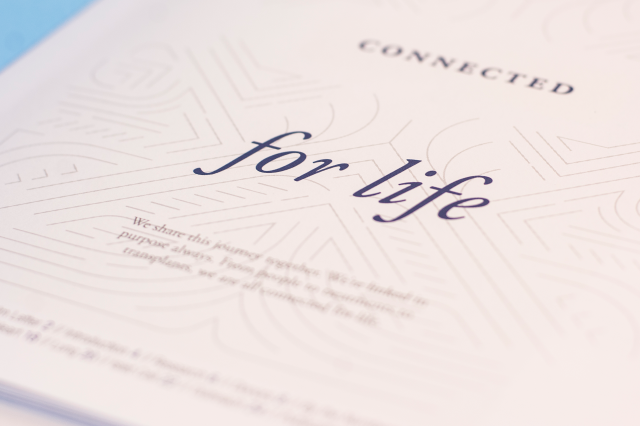 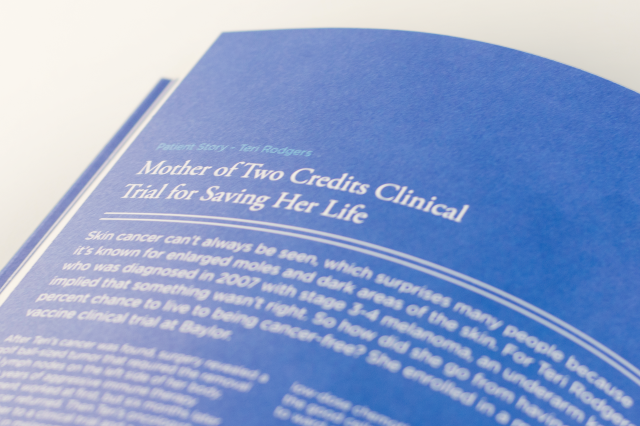 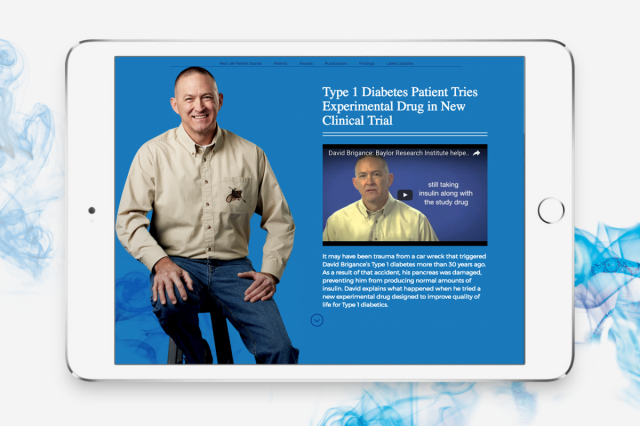 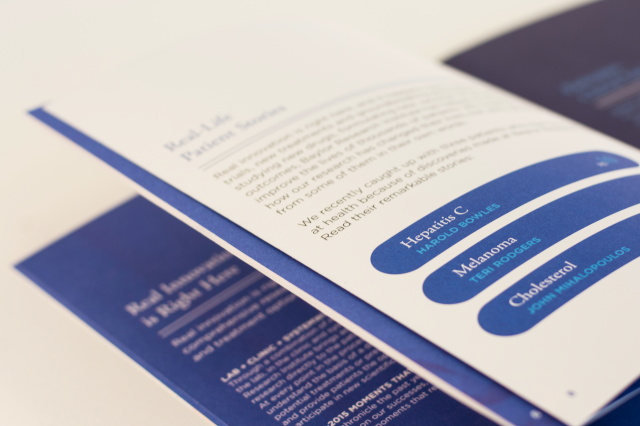 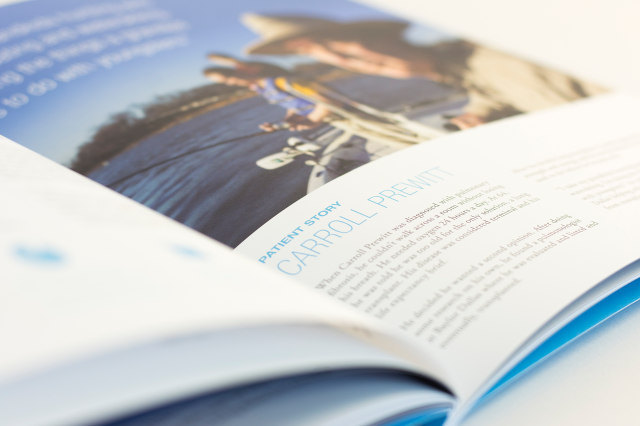 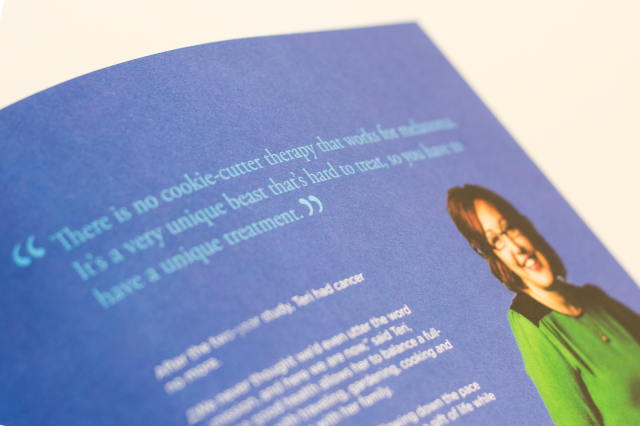 Using a “Connected for Life” theme, the report celebrates the donor/patient relationship with compelling patient/donor testimonials and lifestyle portraits, as well as the collective effort required to drive advancements. 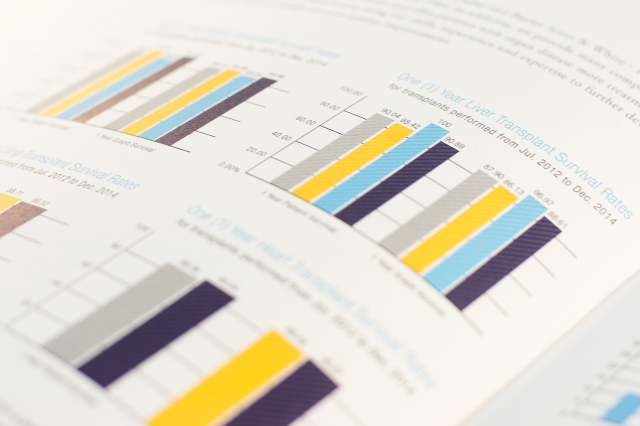 Infographic-styled graphs and charts were engaging and easier to digest. 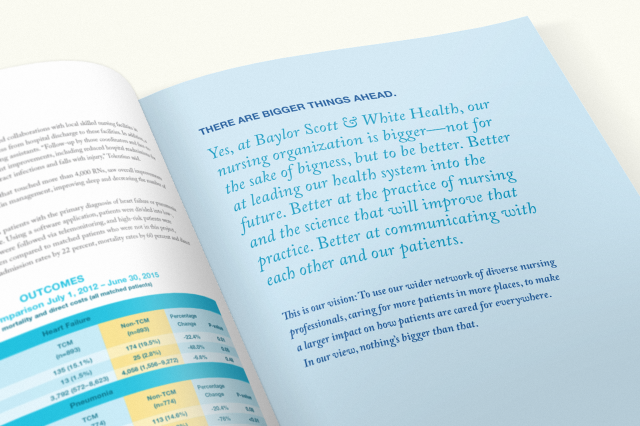 When Baylor merged with Scott & White, the newly created BSWH wanted to celebrate the successful integration of its two nursing teams. 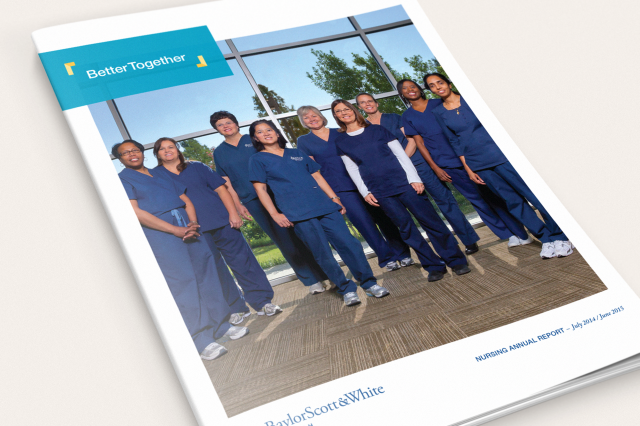 The nursing report featured a “Better Together” theme that represented how the teams worked together and fostered pride in the nurses’ Magnet Award Designation. 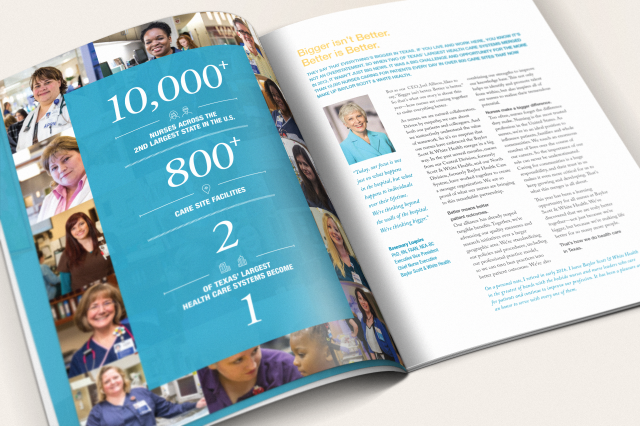 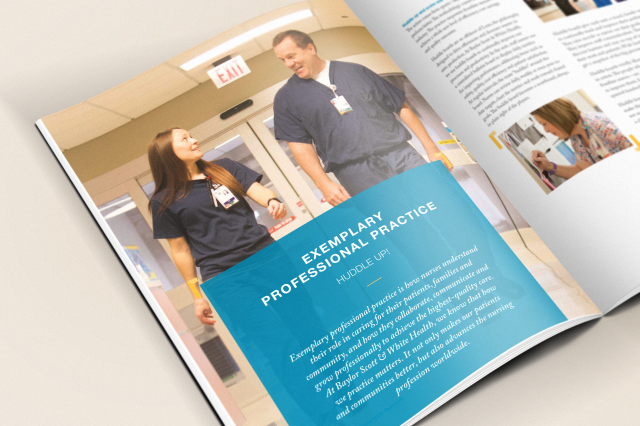 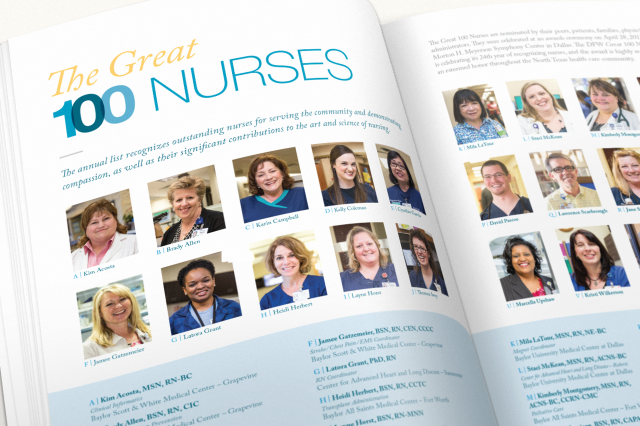 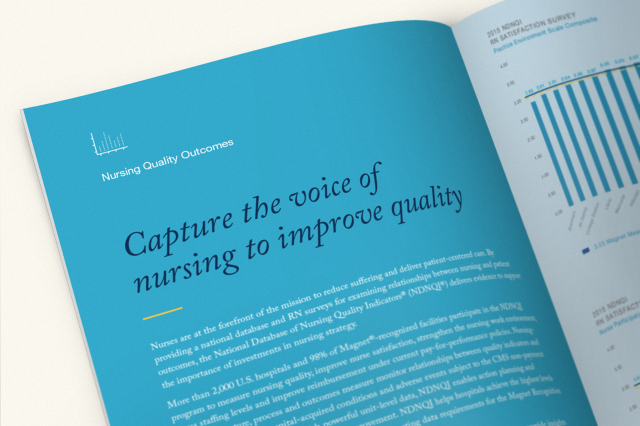 Featuring the compelling stories of real nurses, the report honored their hard work, while simultaneously supporting BSWH’s recruitment efforts. 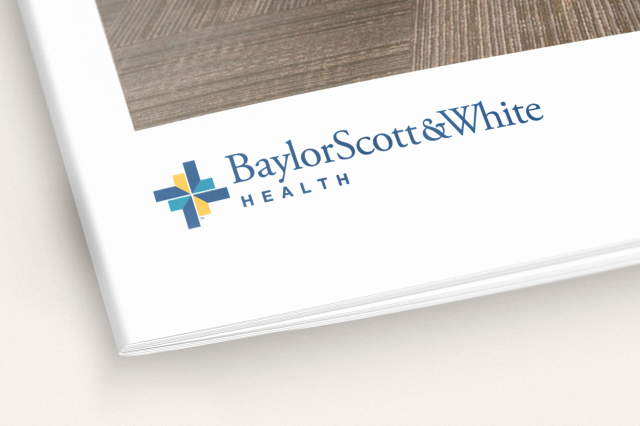 In 2013, Baylor Health Care System merged with Scott & White Healthcare to create Baylor Scott & White Health. 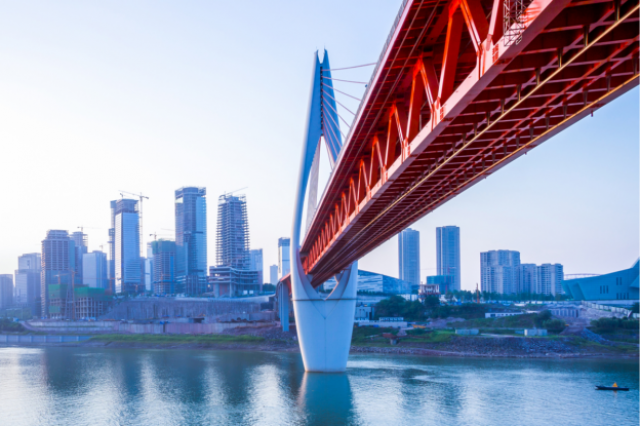 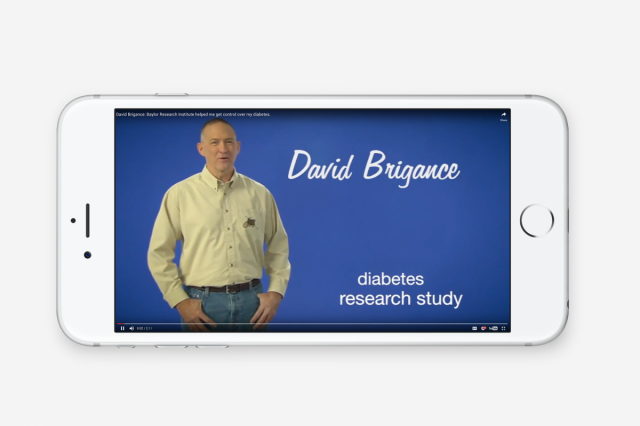 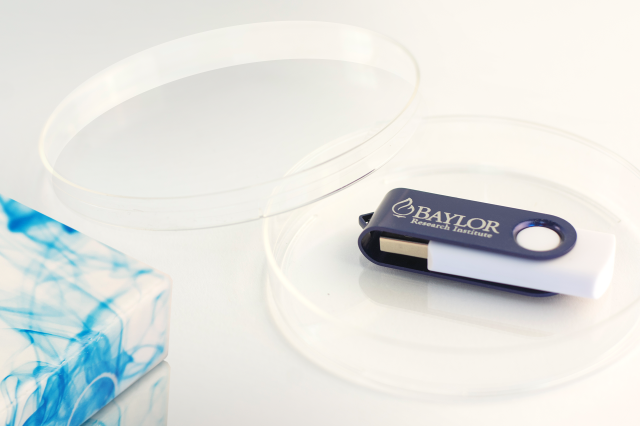 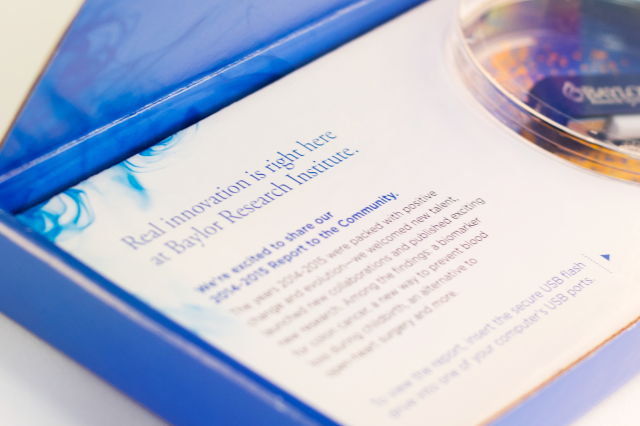 The following year, Baylor Scott & White Research Institute (BSWRI) also made significant strides in research—in everything from cancer therapies to treatments for hepatitis C. However, awareness was low among physicians, scientists and clinicians—and even their employees. 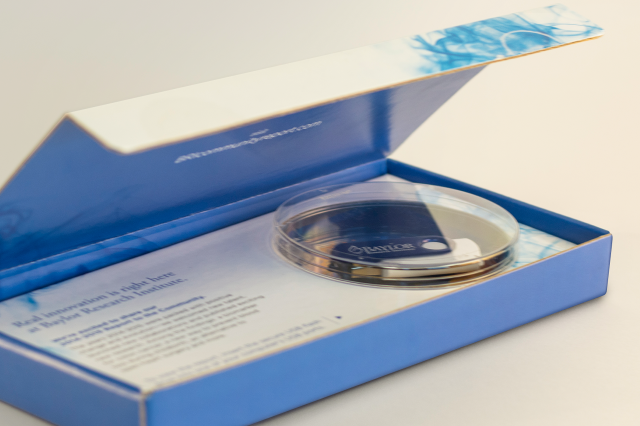 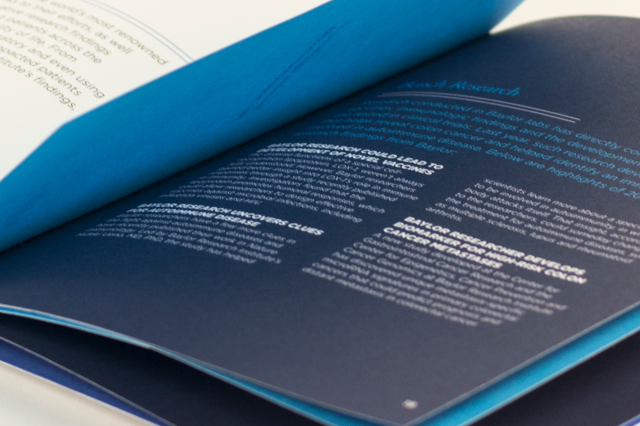 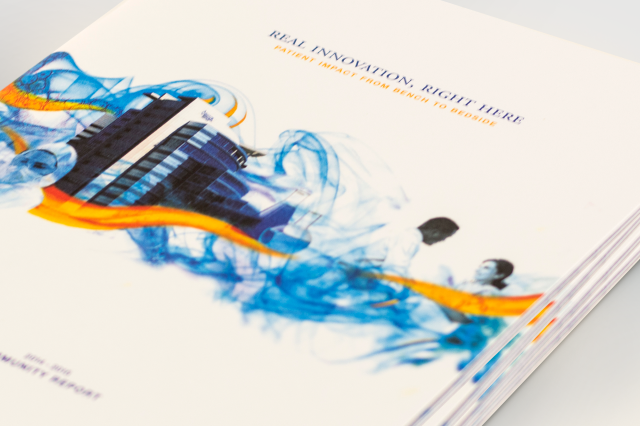 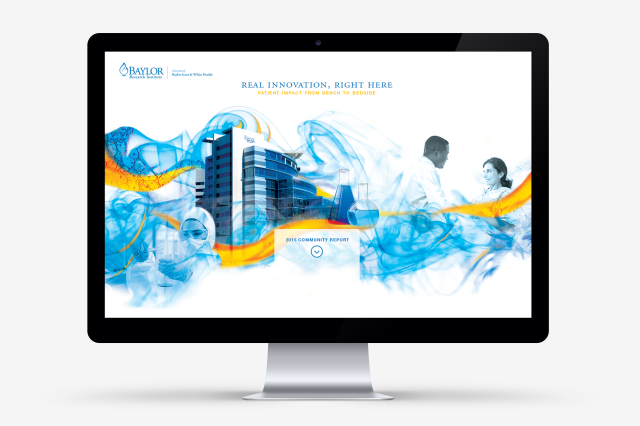 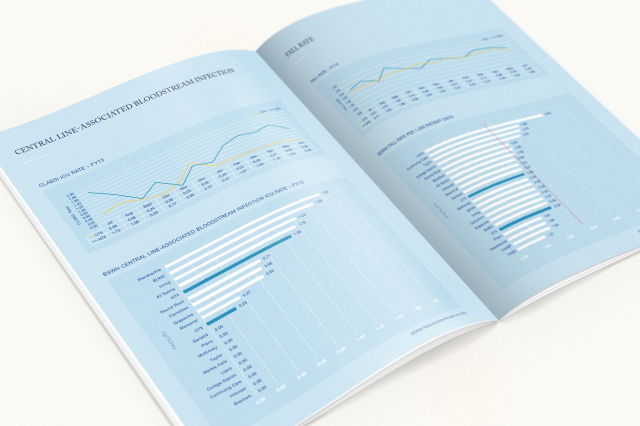 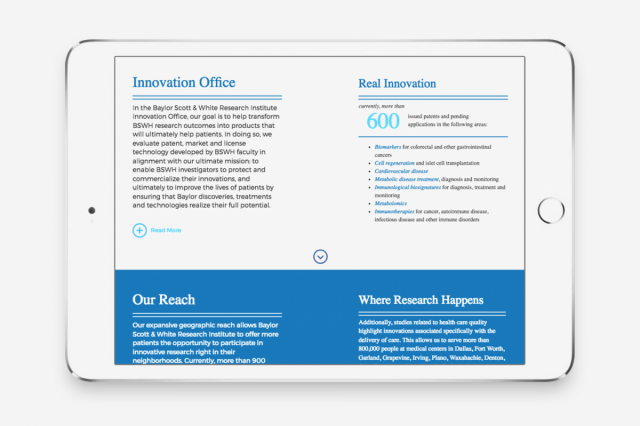 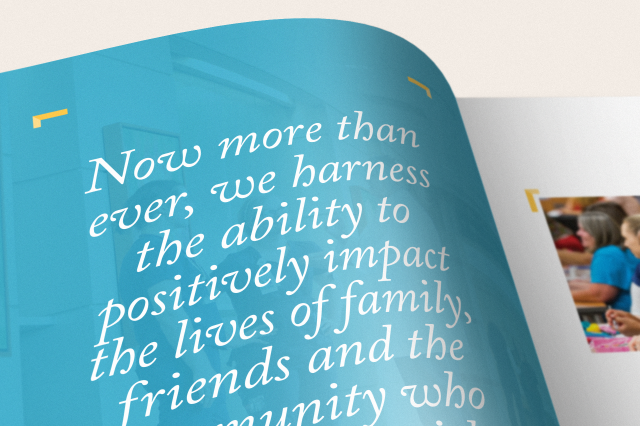 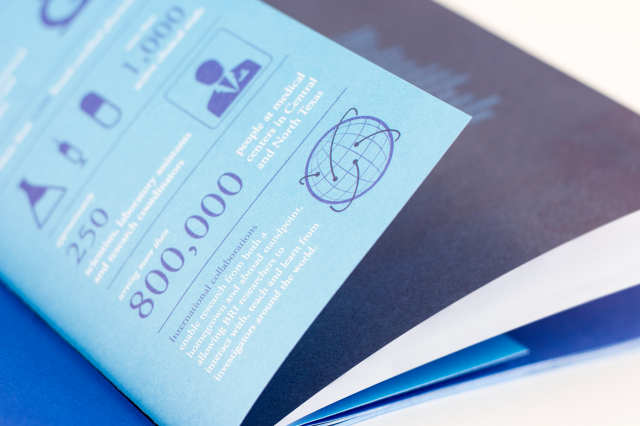 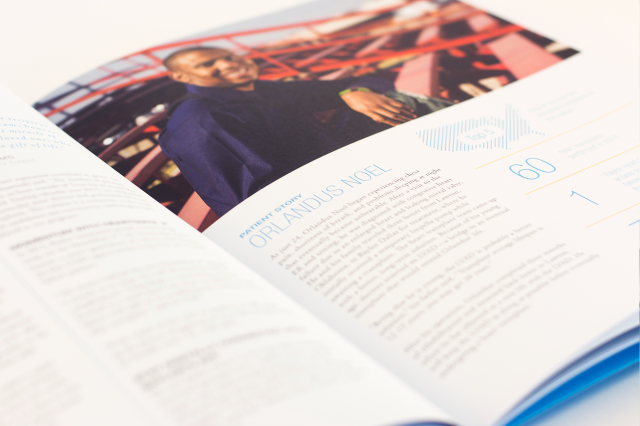 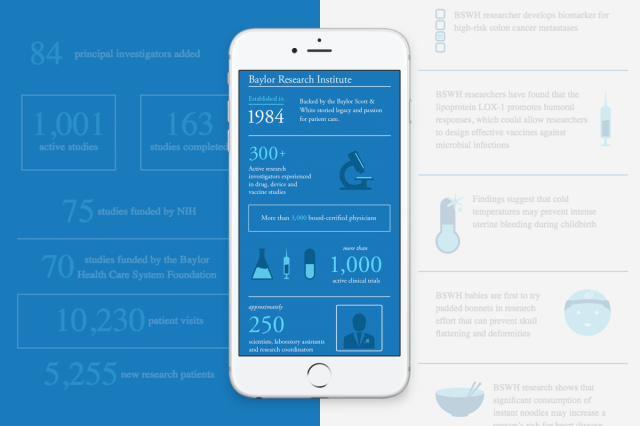 We created online and print versions of an annual community report to showcase the breakthroughs happening at BSWRI and how they are affecting real patients. 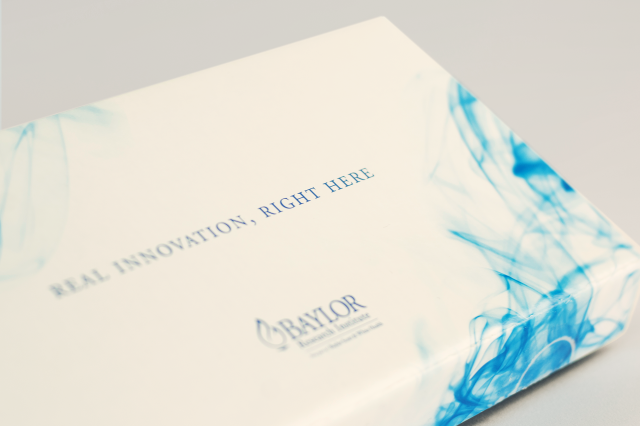 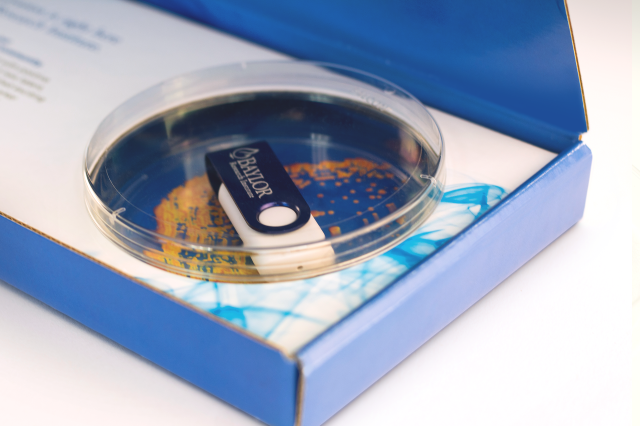 We also developed an interactive direct mail piece, complete with a USB drive that took recipients directly to the new online report.